Well, Dear Reader, it has been a very long time since I last posted a "Saucer of the Week" post. In fact, it has been almost a year! Herewith I remedy this sad situation. Today's "Saucer of the Week" is an English one dating from, I believe, 1820 to 1830. It is decorated with a pink-lustre foliate border and a transfer print in the center of Aphrodite, the Greek goddess of— among other things—procreation. She is accompanied by her two sons Eros and Anteros. They are depicted in an Arcadian setting and all are staring intently at a just-gathered basket of eggs. It is, in a word, charming. The saucer is reminiscent of, and was very possibly made in the one of the same potteries that produced the pink-lustre and transfer print Sunderland jugs that I own and wrote about in an earlier post. I have four of these pretty little saucers in my collection, and they are a sentimental favorite of mine. They were a gift to me long ago by a former paramour who, sadly, died a number of years ago, and whose memory I will fondly treasure for the rest of my days. I promise to be more regular in my "Saucer of the Week" postings going forward. I have, in fact, a number of them in the queue that I look forward to sharing with you over the next several weeks. Hello Reggie, This has to represent some high-water mark in adorableness. Moreover, when objects of this charm and quality are also heirlooms or have great sentimental value, as these do, the acme of collecting has been reached. I like nothing quite so much as a nice Greek mythology image and some ceramics:). As I only found your wonderful blog a short while ago, I thought that a year sounded too long as I remembered a saucer post. So don't feel too remiss! 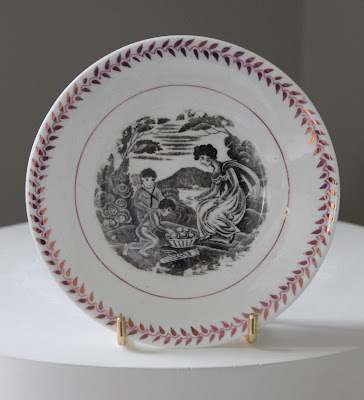 A particularly charming period in English ceramics but I DO love practically every period of English ceramics and especially love your posts on your treasureous collection.......more please! Oh, I do adore that saucer! I am in love with this saucer. The image in the center is over the moon! I too love anything with an allusion to classicism. Thanks for the introduction to Slim Keith. I'm always interested in some entertaining reading about social worlds other than my own, so her book should do the trick. So happy to see "Saucer of the Week" has once again graced your lovely blog, and what a very attractive example you share with us, your loyal readers, today. This saucer reminds me of the bat-printed examples from the same period. Sometimes, it is difficult to differentiate (at least for me), between transferware and bat-prints. Can you tell the difference Reggie? My grandmother had a large display case full of cups and saucers of many different patterns and styles. I always thought they were pretty with their flowers and birds and designs-they each had their own personalities to offer rather than just a place to put your tea and biscuits. Hello Reggie, I posted a comment a few days ago, but it seems as though Blogger did not accept it. Hmmmm... no matter. I wanted to say that I'm pleased to see yet another lovely saucer grace your beautiful blog. I adore this period of English ceramics, especially bat-printed pieces (or would that be transferware?). I wanted to ask if you knew the difference between bat-printed wares and those decorated with transfers. I have a difficult time differentiating between the two. Your saucer is charming. I have a small collection of pink lustreware. I do not recognize this pattern. Many of mine are in the "house pattern" and Sunderland nautical designs. 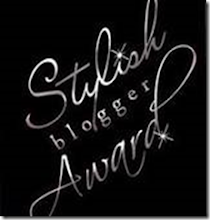 I was so glad to find your very inspiring blog that I immediately signed in as your follower! I can’t wait to start exploring it! I’m an antiques lover with a special preference for ceramics and even more special for English china and transferware. I was very thrilled to see your saucer because I have a cup and saucer with the same motif and I hadn’t been able to identify the figures in the bat print. The cup has another scene picturing the two brothers alone. Now that I know about it, thanks to you, I’ll post the set in my next participation in Tuesday tea events hosted by American and Canadian bloggers. Meanwhile I invite you to visit my blog, which is written only in Portuguese since I installed Google Translator, thus allowing my international visitors to understand the general meaning of the texts. Thanks for sharing your treasures and knowledge.